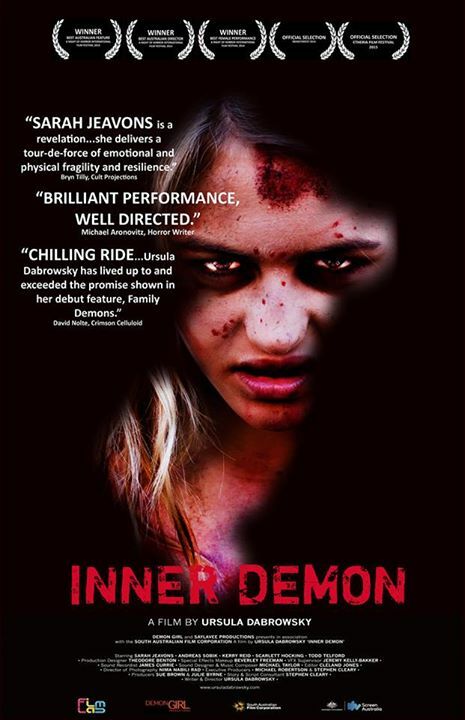 Let’s all celebrate the North American premier screening of my friend Ursula Dabrowsky’s ‘Inner Demon’ at the Etheria Film Festival coming up this June 13th. This film is spellbinding and ground breaking, and it is clear that this talented writer / director is a trend setter in the making of horror films. Good luck on the red carpet, Ursula! This entry was posted in horror, Horror Movie, Sarah Jeavons, Scary, Ursula Dabrowsky and tagged Dabrowsky, haunting, horror, horror movie, paranormal, scary, woods. Bookmark the permalink.